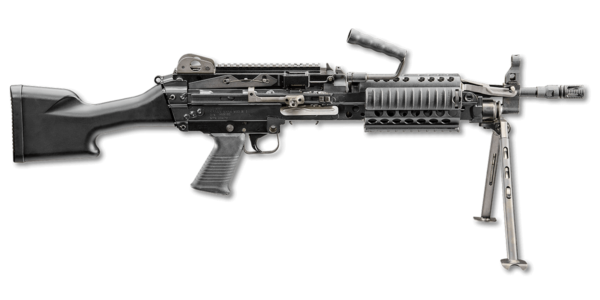 The 5.56x45mm FN® MK 46 MOD 1 is the lightweight U.S. special operators’ variant of the FN® M249 Squad Automatic Weapon (SAW). The MK 46 MOD 1 incorporates improved receiver pins, a feed tray with retention pawls and a vented hand guard with improved heat shield and three MIL-STD-1913 rails. The MK 46 MOD 1’s cold hammer-forged MIL-SPEC barrel has a hard-chromed bore for longer life and improved accuracy, and serves as the mounting point for the carry handle. 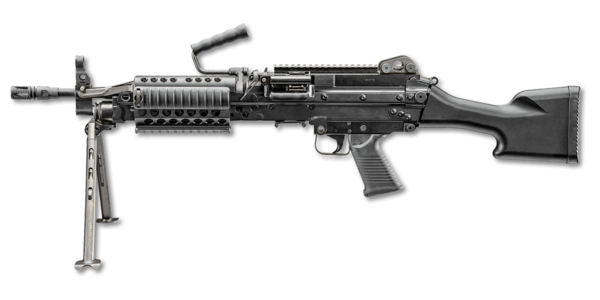 The receiver is formed steel and is equipped with a top-mounted MIL-STD-1913 optical rail. 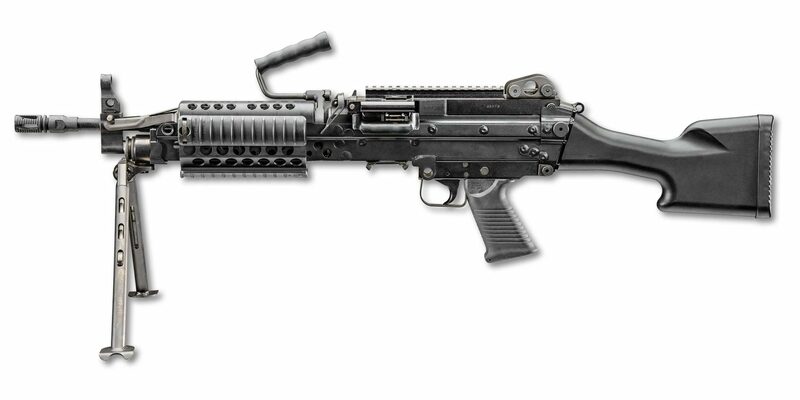 A hydraulic buffer greatly reduces recoil, helping the operator keep more rounds on target. 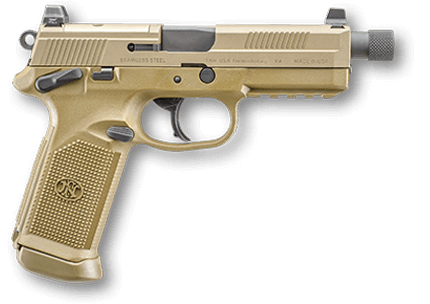 The crossbolt safety and curved trigger help enhance operator control. Includes one spare barrel. Trigger Pull: 7.87 - 15.7 lb.